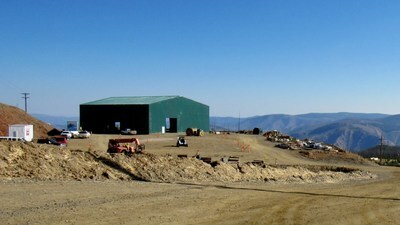 eCobalt Provides Idaho Cobalt Proje… | eCobalt Solutions Inc.
VANCOUVER, Sept. 18, 2018 /CNW/ - eCobalt Solutions Inc. ("eCobalt" or "the Company") (TSX: ECS) (OTCQX: ECSIF) (FRA: ECO) reports that construction continues to advance on time and on budget at its Idaho Cobalt Project (the "ICP"), located near the town of Salmon, in the heart of the historic Idaho Cobalt Belt. The ICP remains the sole, near-term, environmentally permitted primary cobalt deposit in the United States. Water Treatment Plant ("WTP") building completed. Placement of large components and mechanical assembly to commence September 18th. 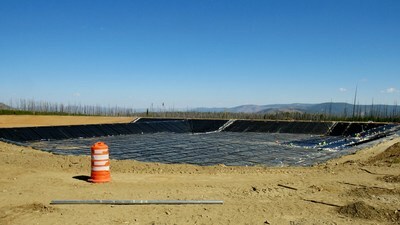 Lining of the Tailings Waste Storage Facility ("TWSF") and ponds advancing with expected completion in September for ponds and October for TWSF, including gravel topping. Pumpback system pipelines installation now 65% complete. 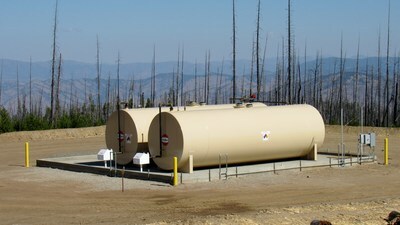 Bulk fuel storage and distribution system complete. Construction of surface mobile equipment maintenance facility initiated on September 6th. Construction of the mill building foundation commenced on September 10th. "Our main priority is finalizing all environmental systems at site in preparation for underground mine development in early 2019," stated Paul Farquharson, President & CEO of eCobalt. "This includes getting the Water Treatment Plant in place, the liner installed on the Tailings Waste Storage Facility and Water Management Ponds, and electrifying the pump back wells. These activities are part of the use of proceeds from the February 2018 public offering and are expected to be completed in the fourth quarter of this year. I am pleased to report that we are advancing on time and on budget as our team has been working expeditiously during the summer months." Evaluation of several project financing options continues, including off-take, traditional financing, bond financings, and other financing alternatives to fund the development of the ICP. Discussions continue to progress with strong interest from multiple parties in numerous jurisdictions with the aim of being finalized once the Optimized Feasibility Study has been completed. Additional updates will be provided as available.